Dmitriy Radzetckiy. 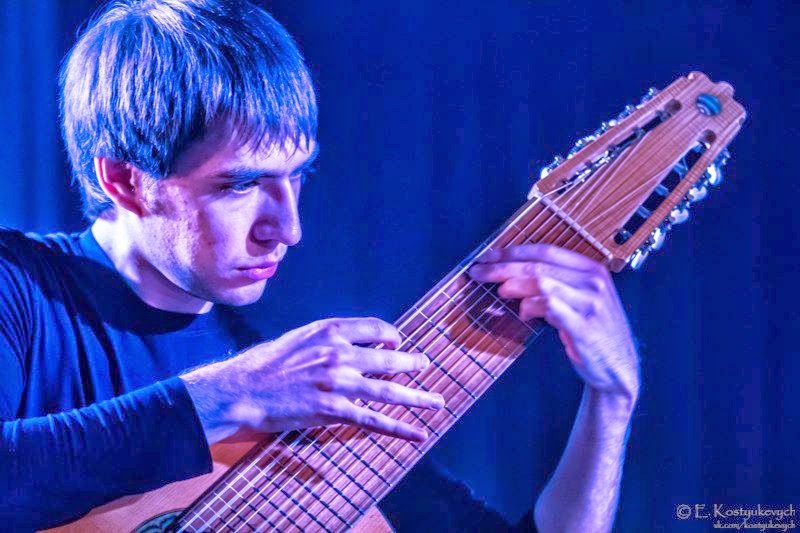 Classical guitar education in the Dnepropetrovsk Conservatoire M.Glinka and Kyiv National University of Culture and Arts. Director of the experimental music ensemble "Supremus", involved in the rock group "SUR Band" and the guitar duo "Big Second". Since 2011 collaborates with contemporary music ensemble "Ensemble Nostri Temporis". 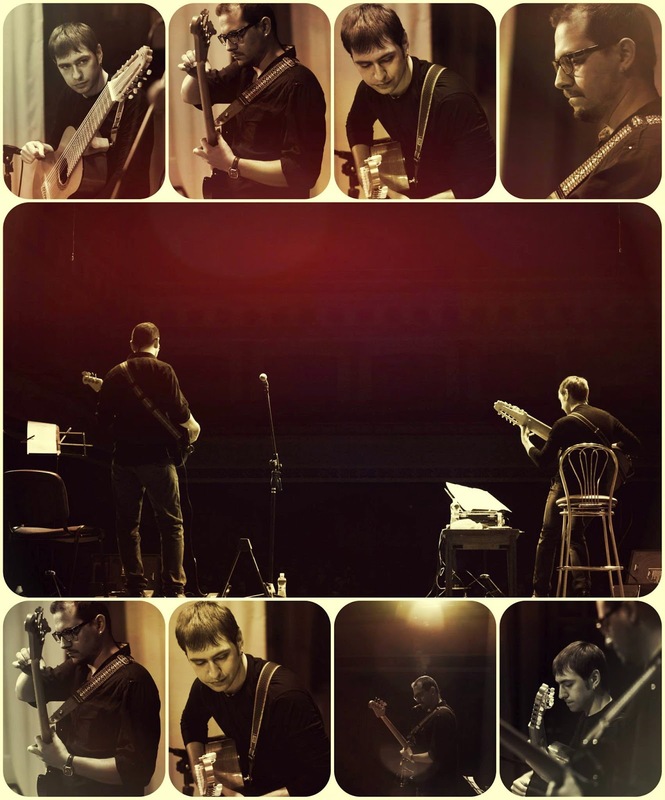 Participated in the festivals of classical, experimental, jazz and rock music in many cities of Ukraine, Russia, Poland. Author of chamber music, electro-acoustic & rock compositions, music for short films, radio and television programs, arrangements for orchestra of folk instruments. 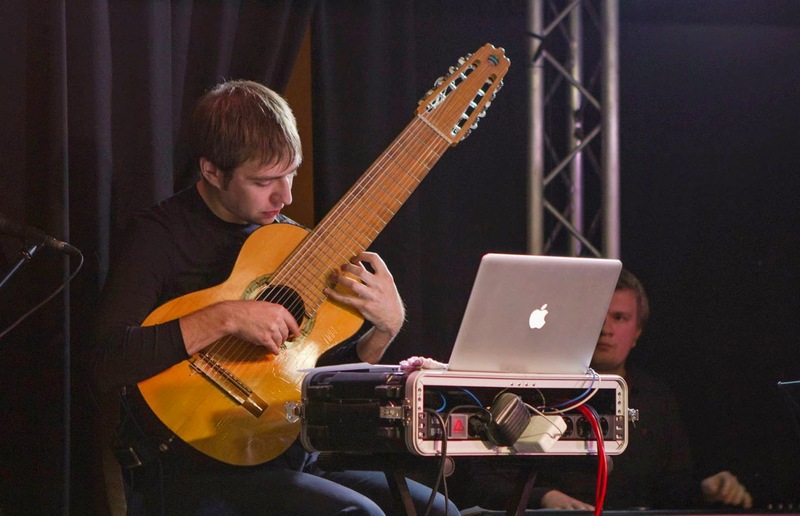 Author and developer of a unique 10-string MIDI Radz-guitar, which combines the classical guitar, electric guitar, acoustic bass guitar and synthesizer. What do you remenber about your first guitar? My first guitar was a small classical 6-string guitar, which my father for a while took from luthier until I learned to play guitar at the 1st class music school. From the very birth I was surrounded by music, for me it has become vital, and thanks to her I can perceive more adequately the world and react to it. Music for me is the key to understanding reality. So, why do you pick up the guitar? With the guitar, I can most adequately embody what it sounds in my head, because this instrument I have fully mastered. 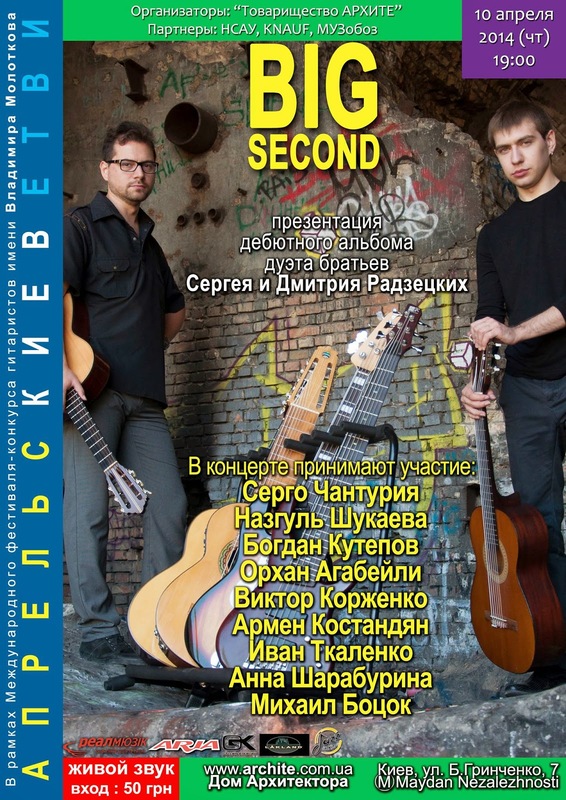 At this moment it's debut album with my brother Sergey duo «Big Second», which has a joint tracks with our childhood idols Tony Levin , Alexey Kozlov... And proud because the release of this album, Dreamed about it since childhood. As a child it was the notes on the guitar fretboard beyond the 12th fret. In comfort while playing and sound quality. The problem is, first of all, the inability to gain popularity by writing and selling their albums, and the advantage is that in connection with this problem, a musician can be adequately assessed by the public as a concert performer. Mental image of the sound that I'm looking for , occasionally seen in some short-term and barely perceptible contingencies that surround me in the music world . Advanced techniques of playing the guitar I use because it is so I can adequately convey to the listener musical ideas . This may occur depending on my needs : what I want to do and how I can achieve this. What artist -any genre, any time- would you identify with? Why? One time it was Salvador Dali with his desire to unlimited fantasies With the help of academic education. What’s the difference between playing solo and playing in a group? Solo performance is more concentrated , as in itself it is necessary to combine a maximum of possible attention immediately and reach saturation. Playing only one instrument, while the concentration in the ensemble is uniformly distributed between several musicians. 2013 - Radzetckiy Górka Mazur Yaremchuk Belorukov "Corpuscular-Wave Trialism"
2013 - Radzetckiy Tokar Narushevich "Jam Out Of The Barrel"
2013 - Big Second "Big Second"